Lenovo started their 12 Days Of Deals today, where we will get several new computer deals every day. 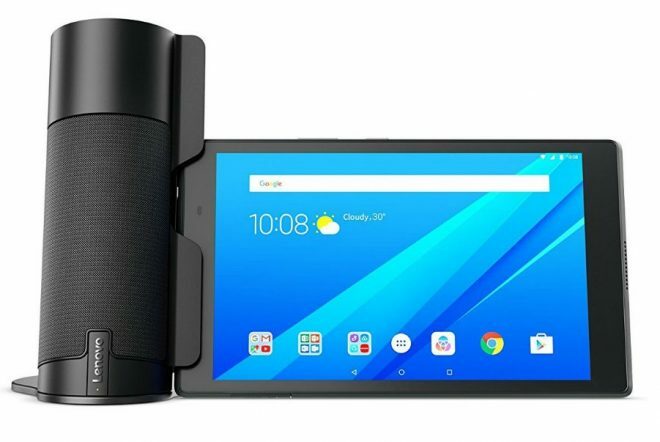 And in tablets today we get a deal on the 10.1-inch Android tablet Lenovo Tab 4 10 Plus bundled together with the Lenovo Homes Assistant Speaker, which offers some proper speakers and a stand to the tablet at the same time. Lenovo Home Assistant Pack isn’t just a 2×3 watt speaker and tablet stand, but first of all it is a voice activated personal assistant connected to Amazon Alexa to deliver information and carry out tasks for you. It can run your voice commands from far-field mics located on top that will recognize a users voice commands from 9.8 feet / 3 meters away, and for privacy, there’s a kill switch on top of it, if all you want is to use the speakers to listen to music or watch videos. 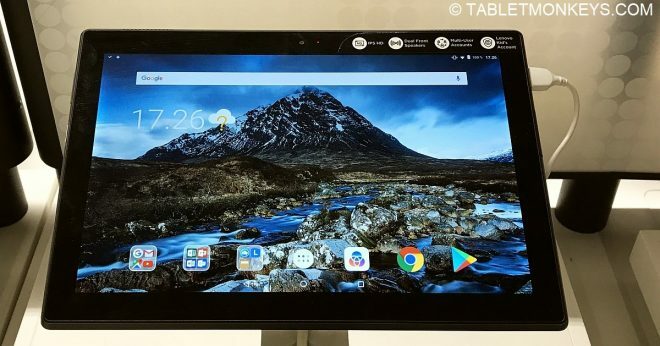 The Lenovo Tab 4 10 Plus tablet meanwhile is and octa-core Qualcomm Snapdragon 625 processor powered 10.1-inch tablet with a 1920 x 1200 resolution display, 4GB of RAM, 64GB of storage, and a 7000 mAh battery good for 13 hours in video playback. Some of the highlights includes Dolby Atmos stereo spakers, a 5MP front camera, 8 MP rear camera, full dual-band Wi-Fi cover, with a weight of 475 grams, and a thickness of 7.1mm. For the Lenovo Tab 3 and Lenovo tab 4 series, Lenovo have standardized the connections and format of the tablet in such a way that there are multiple accessories available for it aside from the Lenovo Home Assistant Pack. These Lenovo tablet accessories includes the “Productivity Pack” with a keyboard and cover, effectively turning it into a Android 2-in-1 tablet. There’s the “Kid’s Pack” that turns it into a children’s tablet with bumper case and protective cover, and finally there’s the “Folio Case And Film” option, though it should be said that the Lenovo Tab 4 Plus display already has Gorilla Glass built onto the screen.